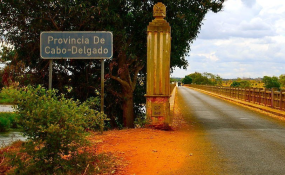 Small groups of Islamist militants in north-east Cabo Delgado are successfully creating fear and panic, and government has failed to convince local people that everything is under control, reports Savana (20 July). The brutality of the attacks, with local people killed by machetes and hundreds of houses burned and people losing all their belongings, has shocked local people who are fleeing their villages and are afraid to go to their fields to collect food. The military patrols the paved roads and large towns, but the attacks are on villages of several hundred families deep in dense forests. Most people have fled and villages are abandoned. Armando Nhantumbo of Savana says local people question the utility of the military. "Young soldiers in the area are accused of acting in a disorderly manner, extorting money from communities and consuming excessive alcohol, often resulting in violence against local people." In his Savana article (20 July) he spoke to a young man who was shot and wounded and his friend killed by soldiers who attacked the village of Naunde claiming it was occupied by Islamists. Collapse of MDM: Mozambique's second opposition party, the Mozambique Democratic Movement (MDM), appears on the verge of collapse as key figures move over to Renamo. The desertions are in protest to the autocratic personal control of the party by Beira Mayor and party founder Daviz Simango, and his failure over nine years to build an effective party structure. The mayor of Quelimane and the expected MDM mayoral candidates in Maputo city and Tete will all be Renamo candidates for mayor. Under the changed constitution, there is no longer a direct election of mayor; the head of the party list for municipal assembly that receives the most votes becomes mayor. No bridge for Guebuza: Former President Armando Guebuza surely dreamed that the huge bridge being built over Maputo Bay would be named after him. But in a mark of just how far his star has fallen, the Maputo municipal assembly on 18 July decided to name it just the Maputo-kaTembe bridge (ponte Maputo - kaTembe), which is what people already call it. A further indication of worries about Guebuza's legacy is the internal debate and confusion over who should head the Frelimo municipal assembly list in Maputo city. On 14 July Maputo City Frelimo First Secretary Francisco Mabjaia announced that the party would choose between two candidates, Eneas Comiche and Samora Machel Junior ("Samito"). But on 20 July the Frelimo city committee said the choice would be between Eneas Comiche, Razaque Manhique (vice president of the Maputo municipal assembly) and Fernando Sumbana Junior (ex-minister of Tourism) - and not including Machel. The 79-year old Comiche was Governor of the Bank of Mozambique and then Finance Minister. In 2003 he was elected Mayor of Maputo, where he gained a reputation for honesty and for fighting corruption, which made him popular with the electorate but not inside the city party. Frelimo did not select him as its candidate in the subsequent mayoral election in 2008. But he became a symbol of integrity inside Frelimo and chaired the parliamentary committee looking at the $2 bn secret debt and was elected to Frelimo's political commission. To choose him as head of list would show that Frelimo is seriously worried about the aura of corruption hanging around the party after Guebuza and the $2 bn secret loan.